Hello everyone! It's Jen from Jen's Ink Spot. Today I wanted to share a fun masking technique. For this card I first die cut the Hooray Die out of Masking Paper. If you aren't familiar with this kind of paper it is a thin adhesive paper that you can use for masking off images. When you remove it, it doesn't tear your paper. After die cutting I applied the mask to the top of a white card front that I had trimmed down to 4″ x 5 ¼”. 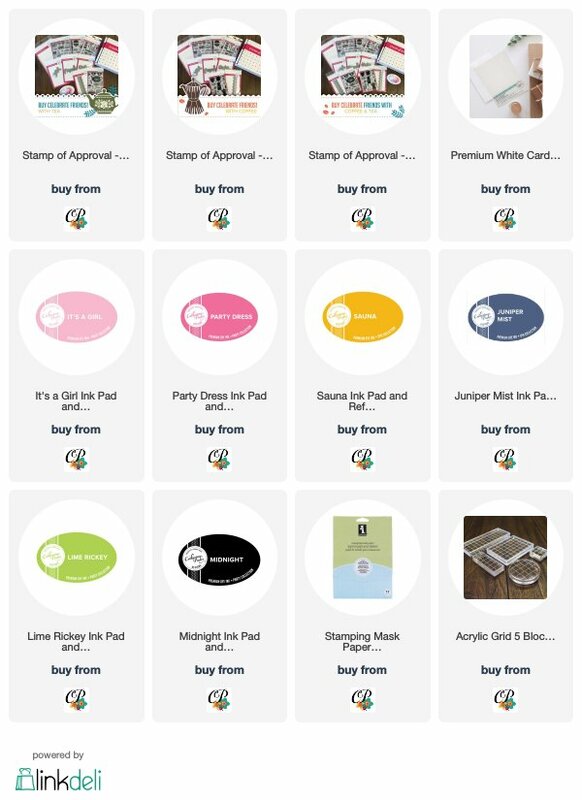 I started stamping the balloons from the WooHoo stamp set in Juniper Mist, Party Dress, Lime Rickey, Sauna & It's a Girl inks. 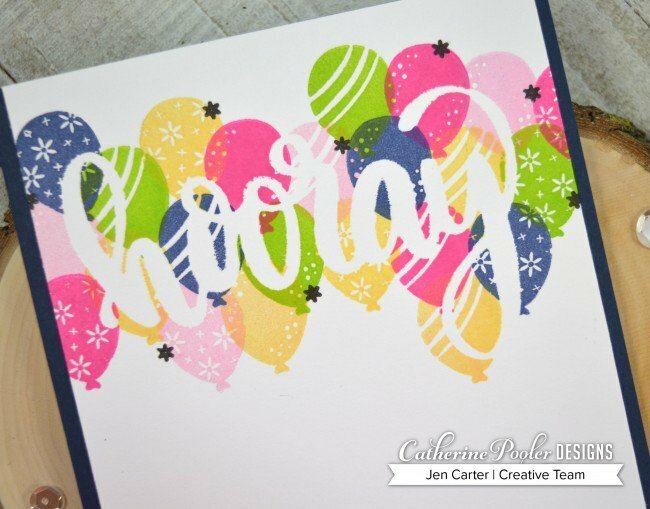 I made sure that I was stamping on the masking paper so that the entire hooray image would be covered when I was finished. You want to be sure to press down firmly so that the ink gets in between the letters but not so hard that you distort your image or make it fuzzy. 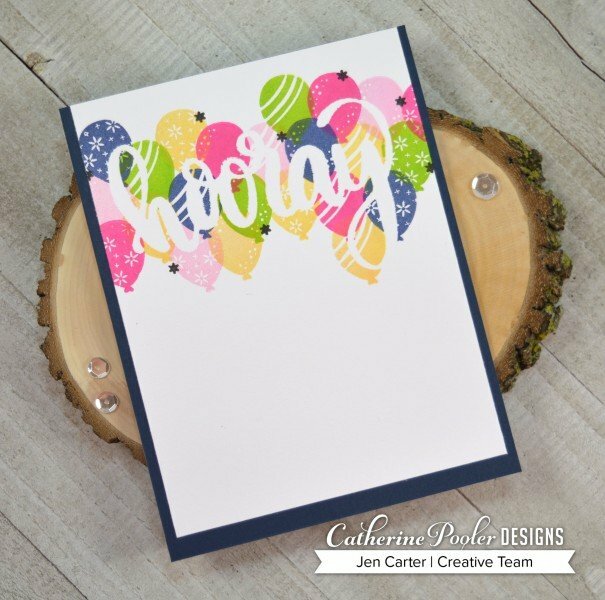 When I finished stamping the balloons I pulled the mask off to reveal the sentiment underneath. I then added in a few little stars from the WooHoo stamp set with Midnight ink for contrast and then adhered the panel to a piece of navy cardstock.